With the changing of the season’s throughout the US, Winter and it’s unforgiving weather is almost upon us. The lands we Jeep enthusiasts travel will become harder, the potholes on the paths will get covered by falling leaves and snow, and the temperature is going to plummet. Getting stranded deep on a trail with no other off-roaders in sight can be scary, which is why we put together a list of important items to carry in your Jeep during your off-road adventures this winter. As many of off-roading Jeep enthusiasts are already aware, cell service is limited when you are navigating the trails and rugged terrain. Cell phone service can be either laggy or not available at all. Making a phone call or sending a text message for help may be close to impossible if you get your Jeep stuck deep on an off-road trail. For this reason we suggest keeping a 2-Way CB Radio in your Jeep at all times. A CB Radio will enable you to contact life off of the trail, hear alerts from other drivers on the trails, and will serve as a reliable source for help if you do get stuck. A heavy duty flashlight will serve wonders as you are likely going to be far from civilization and immersed in darkness. Not only will it provide you the ability to look at what is rustling in the bushes twenty yards north, it gives you the ability to flash down other drivers who may be passing on the road. You can get flash light mounts to secure a spot for your flashlight. You will also want to have some recovery straps for your Jeep on hand as you may need to pull yourself out if you get stuck. Be sure when buying straps to consider the weight of your Jeep as it is suggested to get a strap that is double the weight of your vehicle. Having a winch on your Jeep will provide a lot of assistance getting yourself out of a jam. Every Jeep driving off-road should have a first-aid kit on board. Owners should also keep a blanket or sleeping bag, a kit of tools and jumper cables, or a spare battery in addition to a compass and/or GPS. This will allow you to provide your location over the radio and make it easier for a rescue team to find you. 1. It keeps you from freezing when the sun goes down and the chilly winter night sets in. 2. It provides you with a method for heating liquids and food. 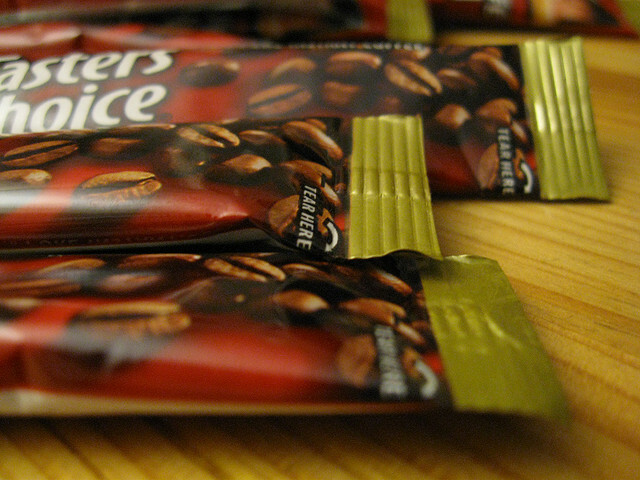 We also suggest keeping some packs of instant coffee with you, a pot or large tin can and a gallon or two of water. If you do not have water, you can also look for a nearby stream. If snow has fallen recently, pack some fresh powder into the can and bring it to a boil over the fire. Keep items in your Jeep that have a long shelf life and pack nutritional value. Items like Power bars and Nature Valley bars are great sources of food to keep in your Jeep as they stay fresh for an extended period of time and are small in size, so they won’t take up too much room or add unnecessary weight to your Jeep. Also consider packing a few cans of soup that are high in protein, such as Campbell’s Chunky Soup. Driving off-road is a thrill that all of us love. But as with most things in life, preparation for the unexpected can make a huge difference. Being stranded with no water or food, no means of communication, no heat or fire and no way to get yourself out of the jam is not safe and definitely not fun. Being prepared for an unexpected night on the trail will give you the energy you need to work your way out of the mess the following morning.